Solar hot water systems can help reduce your utility costs and energy consumption without compromising convenience – water is heated to the same temperature as with a conventional system but at a fragment of the cost. It pays for itself in the long run and ensures you’ll have an environmentally-conscious system year-round. 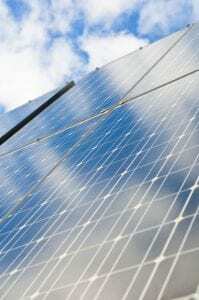 Solar energy systems cut monthly utility costs by generating power right where you are. They’re sustainable, environmentally conscious, and can improve the value of your home while simultaneously reducing your carbon footprint. Ask us about the Lennox SunSource System for your home! Geothermal systems bring a different type of energy efficiency by using ground source heat pumps to pull heat from underground; and because it works with the steady temperature of the earth instead of the air’s varying temperatures, these types of heating and cooling systems use 40-60% less energy than conventional systems.